Elizabeth Gaskell's novels provided accurate, detailed portraits of the lives of many different types of people in Victorian England, including the poor -- with a special emphasis on women characters. This explains her enduring popularity with feminists, literary scholars and social historians. She was also the first biographer of her friend Charlotte Brontë. Her circle of friends also included social and religious reformers as well as Charles Dickens, John Ruskin, and Harriet Beecher Stowe. She was born Elizabeth Cleghorn Stevenson, the daughter of a Unitarian minister, and was raised by maternal relatives in Cheshire. 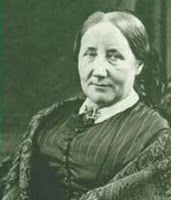 In 1832, she married William Gaskell, another Unitarian minister, with whom she had six children and lived in Manchester, Mrs. Gaskell's literary fame was established in 1848 with the publication of her first novel, Mary Barton. A collection of her ghost stories were compiled and published posthumously as Lois the Witch and Other Stories (1989). Elizabeth Gaskell's book Ghostly Tales was available from LibraryThing Early Reviewers. Elizabeth Gaskell is currently considered a "single author." If one or more works are by a distinct, homonymous authors, go ahead and split the author. Elizabeth Gaskell is composed of 38 names. You can examine and separate out names.